After having used Bluetooth earbuds for many years here are my observations on which are the best Bluetooth earbuds on the market. If you’re looking for a simple one ear solution for listening while staying alert then the Moto Hint is an great option. It is discreet and convenient. It’s also light weight enough that I can sometimes forget that I am wearing it. The battery life is descent and the audio quality is average. Overall I use this option only when listening discreetly is the most important consideration. 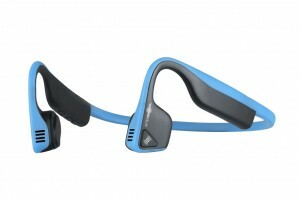 For stereo sound while still staying alert to surroundings I recommend Aftershokz brand bone conduction headphones or “bone phones”. These don’t cover your ear so you can still hear your surroundings and the bone phones are reasonably loud enough to listen to and enjoy while doing most activities. Personally they are what I end up wearing the most around the house. People around you can hear sound leak out so they are not good for work or other public places indoors unless you turn the volume quite low. On the high end Bragi makes a $300 pair of wireless Bluetooth earbuds that can isolate noise or pipe in noise from your surroundings depending on how you want to use them. These are a great all around option depending on how much you want to spend. Finally Etymotic Research makes the best noise isolating earbuds I’ve ever used. They are all cord and plug earbuds but are so exceptional that they are worth the hassle of a cord. For example, the noise isolation is so good that I can comfortably listen to podcasts while bicycling on off-road trails. I always take the earbuds out when crossing roads however to maintain situational awareness. So, depending on how you like to listen I would recommend one of these four great earbud options. This transmitter was the least expensive of the three and worked great on initial setup. It would also reconnect to Bluetooth headphones reliably. However, on reconnect the audio quality would always go down and cut in and out once or twice a second. Needless to say this was a deal breaker and I was not able to use this transmitter. This transmitter had an interesting round design and also worked quite well when I set it up the first time. It would reconnect to Bluetooth headphones reasonably fast within about 5 seconds but not as fast as the Zeo. The downside of this transmitter for me was that I would routinely have the sound cut out about once a minute for a good 5 or 10 seconds. Again, this clearly did not work for me and I kept looking for a better transmitter. This transmitter is small and simple and worked great on first setup as did the other two that I tried. This Bluetooth transmitter also reconnected to headphones quite quickly for this class of device in about 2-3 seconds. Thankfully on reconnecting to headphones this transmitter did not have any problems like the first two I tried. 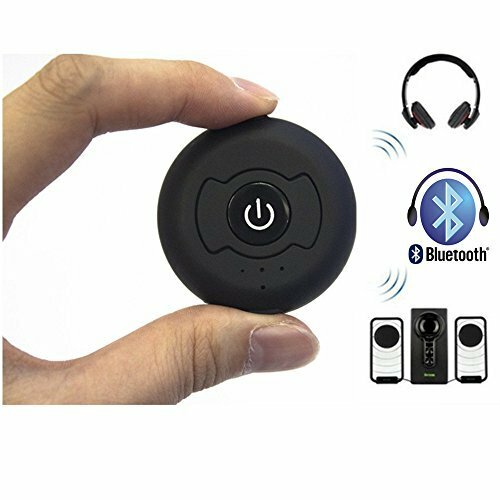 Therefore the TaoTronics Bluetooth Transmitter became my top choice and I’ve begun to use it every day with much enjoyment. The TaoTronics Bluetooth Transmitter costs about $10 more than other Bluetooth transmitters but is well worth the extra price for ease of use and simplicity of the connection and reconnection process.